Mark South from Double Eleven has announced that the awesome million-selling, BAFTA-winning Prison Architect game will be launching on the PlayStation 4 late next month on June 28th. 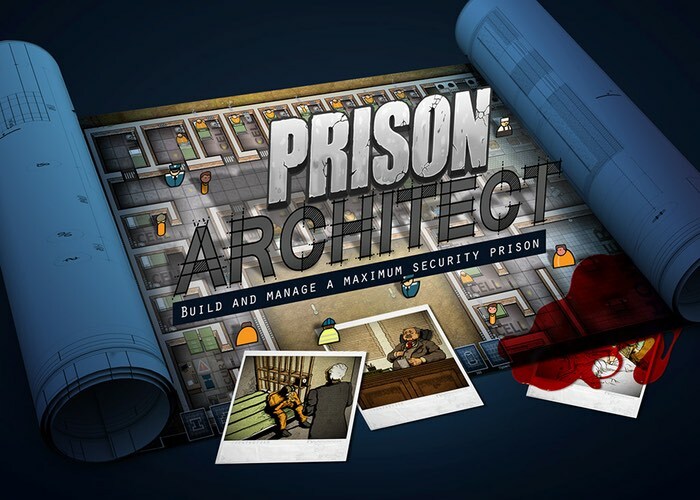 Prison Architect is already available on PC and Xbox One and the game includes a fully fledged story mode and includes a DLC aptly named All Day and a Night that provides eight new wardens, prison maps, and plots to expand your prison. Check out the trailer below to learn more. If you’re wondering what the game is all about, we like to describe Prison Architect as the world’s best lock ’em up. When setting out to create the PS4 edition of Prison Architect, we wanted to offer a toe-in-the-water experience for those who have never been big strategy gamers. You start with an empty plot of land and have to build a holding cell, while a bus load of prisoners slowly trundle toward the prison gate. Once the prisoners are safely in the holding cell the race is on to construct a cell block with a shower and canteen before the next bus arrives. Once the initial rush is over, the only limit is your imagination: workout rooms, libraries, solitary cells, and even death row — as we say: it’s your prison and your rules!